Easy Peanut Butter Cookies are gluten free, sweet, and packed with peanut butter flavor. 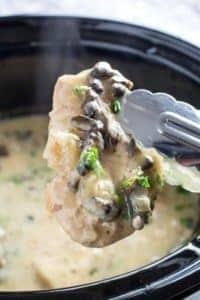 You can make these with only 5 ingredients in under 15 minutes! Plus they’re made with items you already have in your pantry. 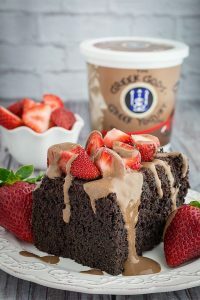 The next time you run out of flour, you might also want to check out Flourless Chocolate Cake and Flourless Oatmeal Cookies! Easy Peanut Butter Cookies are my go-to when I want to whip up something quick that I know everyone will love. They can be soft and chewy, or crispy and crunchy depending on how long you cook them. And as always, these are also gluten free peanut butter cookies! 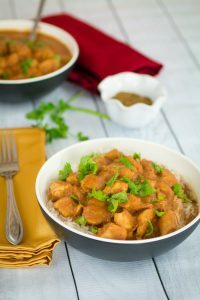 Added bonus, these are only 5 ingredients, and you probably already have everything in your pantry! 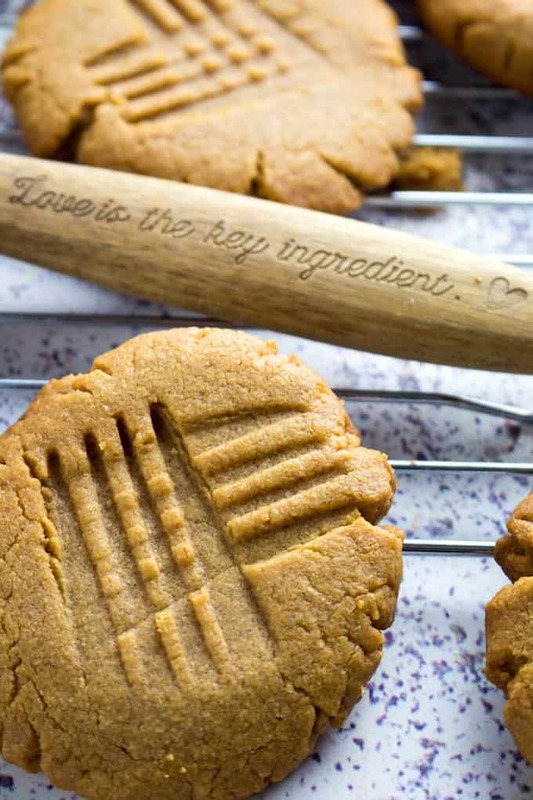 What are the ingredients for peanut butter cookies? These cookies only have 5 ingredients! How do you make flourless peanut butter cookies? 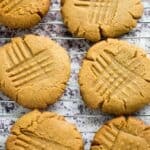 How to make peanut butter cookies from scratch? In a stand mixer, cream together peanut butter and sugar. Mix in egg and vanilla extract until well combined. Roll dough into a ball and flatten with a fork on the baking sheet. Bake 8-10 minutes. The cookies will harden as they cool, so give them a little time before removing them from the baking sheet! These are honestly the easiest cookies I’ve ever made. I like to make my flourless peanut butter cookies with brown sugar, because I think it adds a really nice flavor to the cookie. But you can use all white sugar if that’s all you have. And that’s it! 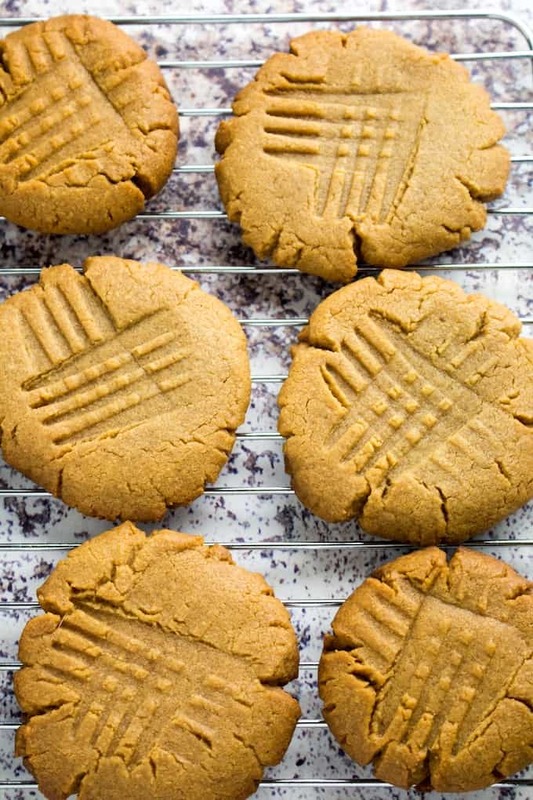 It’s easy to learn how to make peanut butter cookies from scratch. What Kind of Cookies Are Gluten free? Good news, all cookies can be make gluten free! Hooray! You just need to find your favorite cup for cup gluten free flour. Or, make recipes like these flourless peanut butter cookies, and you won’t have to worry about flour at all! Meanwhile, check out my other gluten free cookie recipes. Gluten Free Chocolate Chip Cookies – A classic! Are Peanut Butter Cookies Good For You? They’re good for the soul. But they are full of sugar, so let’s file these in the dessert category. 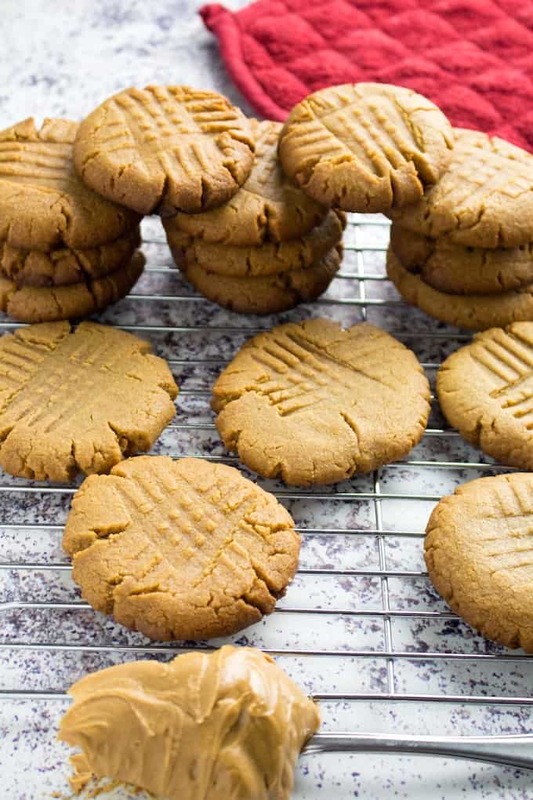 Can you use brown sugar instead of white sugar in peanut butter cookies? 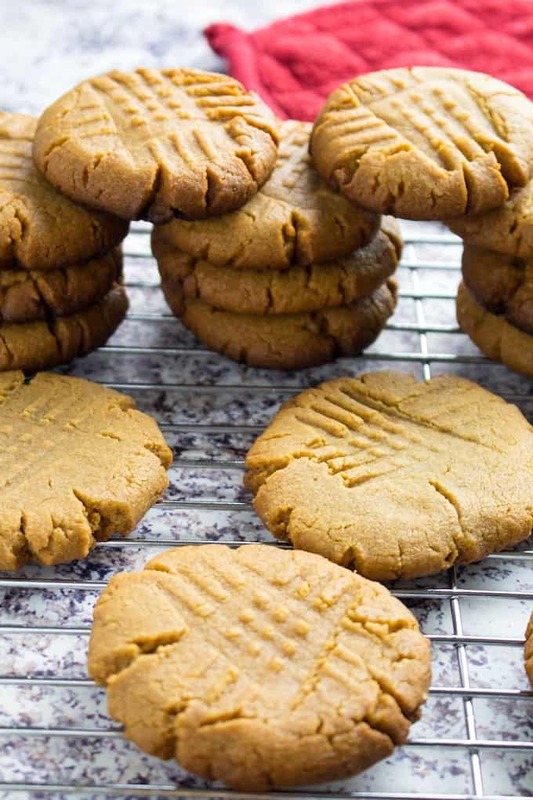 Yes, you can use brown sugar instead of white sugar in peanut butter cookies! 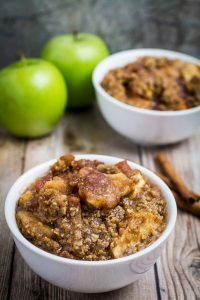 In fact, this recipe uses a mix of brown sugar and white sugar. This is because the brown sugar adds a really nice depth of flavor when paired with the peanut butter. It also helps give the cookie a really nice chewy texture. How do you make a good peanut butter cookie? 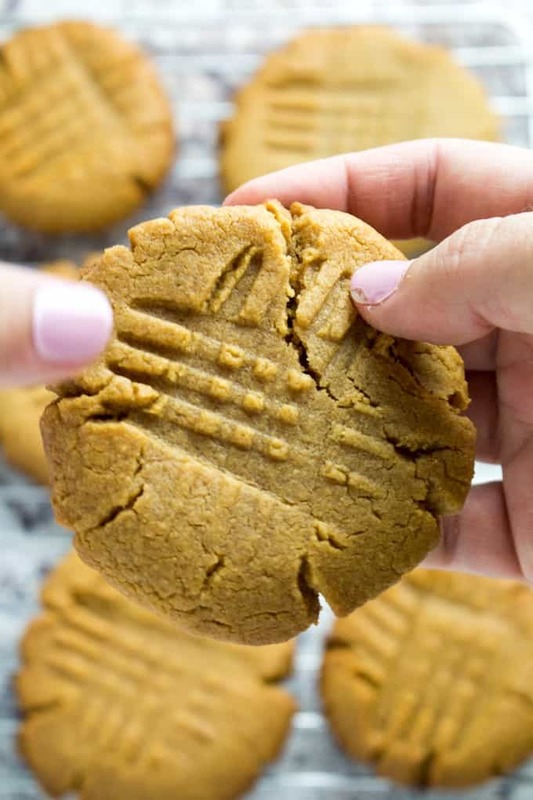 Here are some tips to help you make the perfect peanut butter cookie! Don’t skip flattening the cookie with a fork. This dough doesn’t have any flour, so we want to get it nice and flat (without having to roll it out). Make sure you have a baking mat or parchment paper down on your cookie sheet, to make sure they don’t stick too much. Don’t wait until they’re hard in the oven. These cookies will keep cooking once you remove them, so take them out after 8-10 minutes while they’re still soft! Why are my peanut butter cookies dry and crumbly? The honest answer is that you probably cooked them for too long. Peanut butter cookies keep cooking when you take them out of the oven, so it doesn’t take long for them to over cook. Another possibility is that you added too much moisture to the cookie. 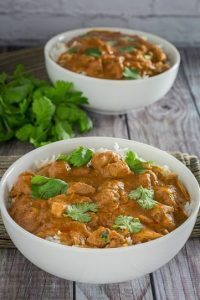 This can happen if you used natural peanut butter and too much oil poured in, or you substituted some of the sugar for too much liquid ingredients. 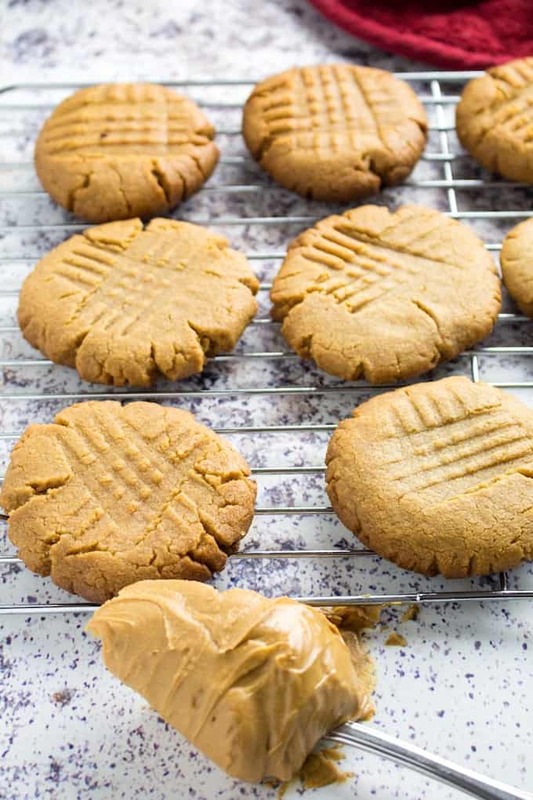 How do you make peanut butter cookies chewy? For chewy peanut butter cookies, you have to watch the cook time closely and remove the cookies just as you see them start to brown, about 8 minutes. 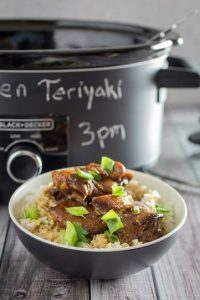 You can also add ingredients like brown sugar or molasses to get them a bit more chewy. How do you make soft peanut butter cookies? For soft peanut butter cookies, you want to only cook the cookie for as long as the recipe tells you to. You can make the cookie more crunchy by cooking them a little bit longer. But watch them closely! Because they can burn on the bottom easily when they’re in for a little too long. How long do you put peanut butter cookies in the oven? Peanut butter cookies go in the oven for 8-10 minutes. If you cook them any longer than this, you’re going to burn the bottoms of the cookies. I know this, because I’ve done it many times! What Desserts Can You Make Without Flour? There are a lot of desserts that you can make without flour! 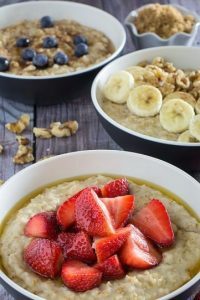 In fact, a lot of paleo and keto recipes call for alternative flours (flours not made from grains), like almond or coconut flour. But my absolute favorite part of these cookies is that they’re gluten free peanut butter cookies! 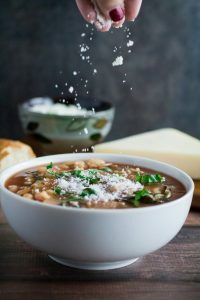 I’m always on the lookout for the perfect flourless recipe, because they’re usually gluten free by nature. So when I came across flourless peanut butter cookies, I knew I’d also found gluten free peanut butter cookies! So, I ran to my oven and whipped up a batch. On my first attempt I did crisp up the bottoms of my gluten free peanut butter cookies a bit too much. But they were still tasty! So I guess it’s ok. In a mixer combine peanut butter and sugar. Then add vanilla extract and egg until everything is well combined. Roll small piece of dough into a ball and place on baking sheet. Flatted with a fork, changing directions to get the pattern on top of the cookie. Bake 8-10 minutes, or until cookies start to look golden brown. Remove from oven and allow to cool completely. The cookies will harden as they cool, so don't leave them in the oven too long because they're too soft! Otherwise they can burn.